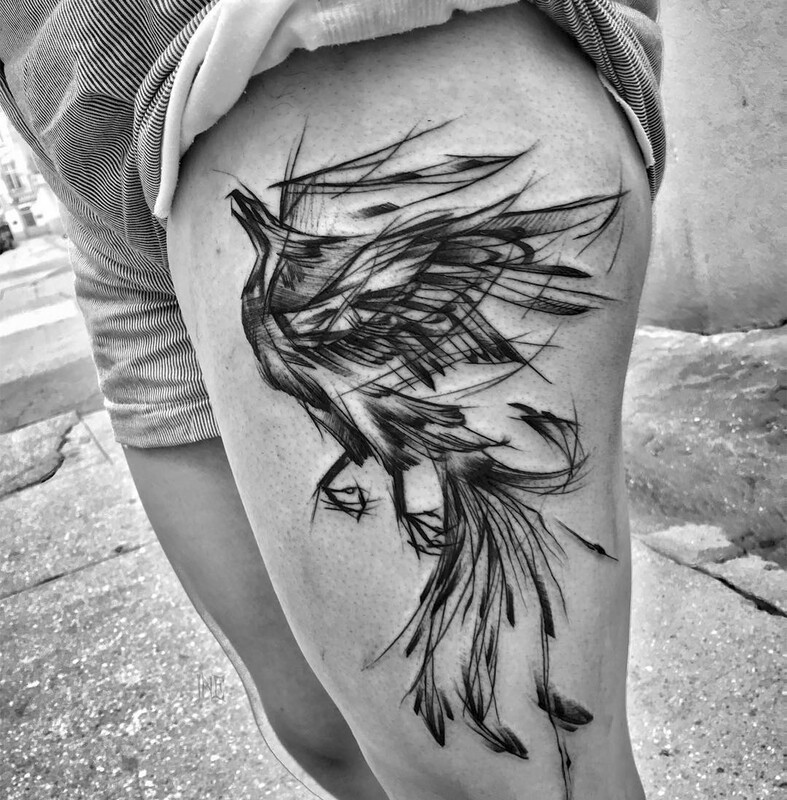 If you aren’t familiar with the name Rit Kit, you might be acquainted with her tattoos. 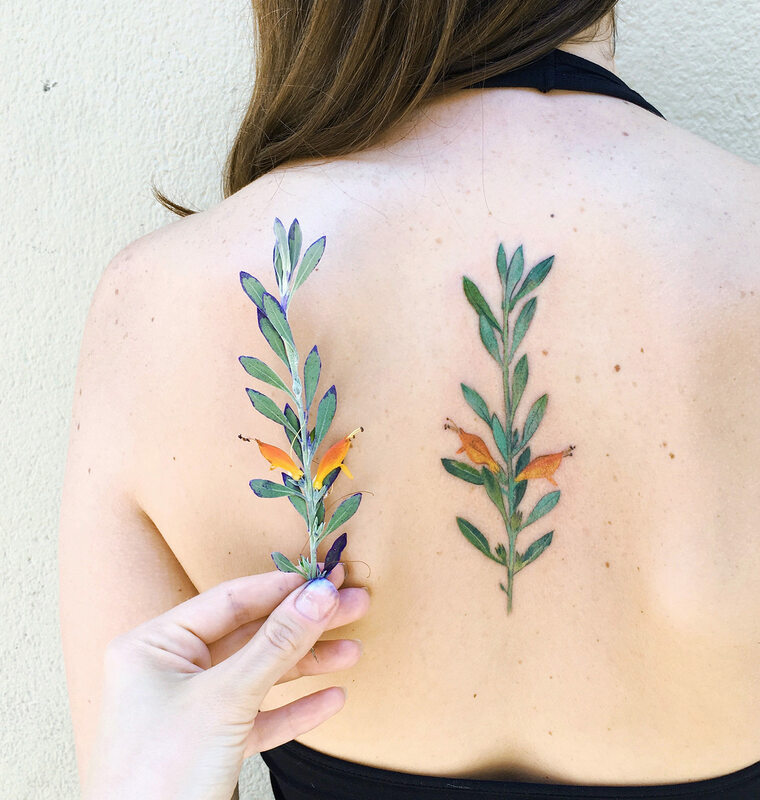 Last year, her live leaf approach went viral and propelled her into body art stardom. 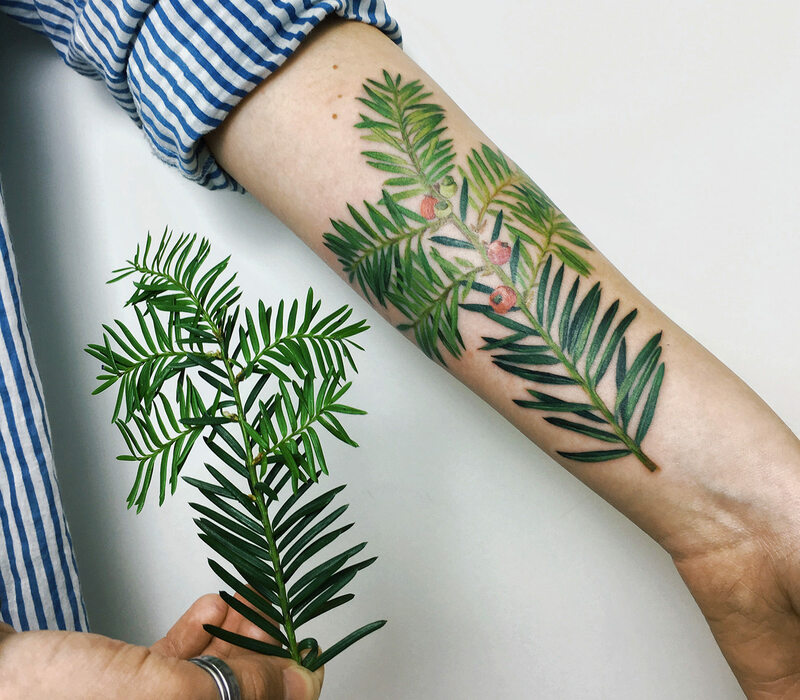 Working directly from nature, there’s simultaneously a beautiful order as well as spontaneity to Rit Kit’s tattoos. 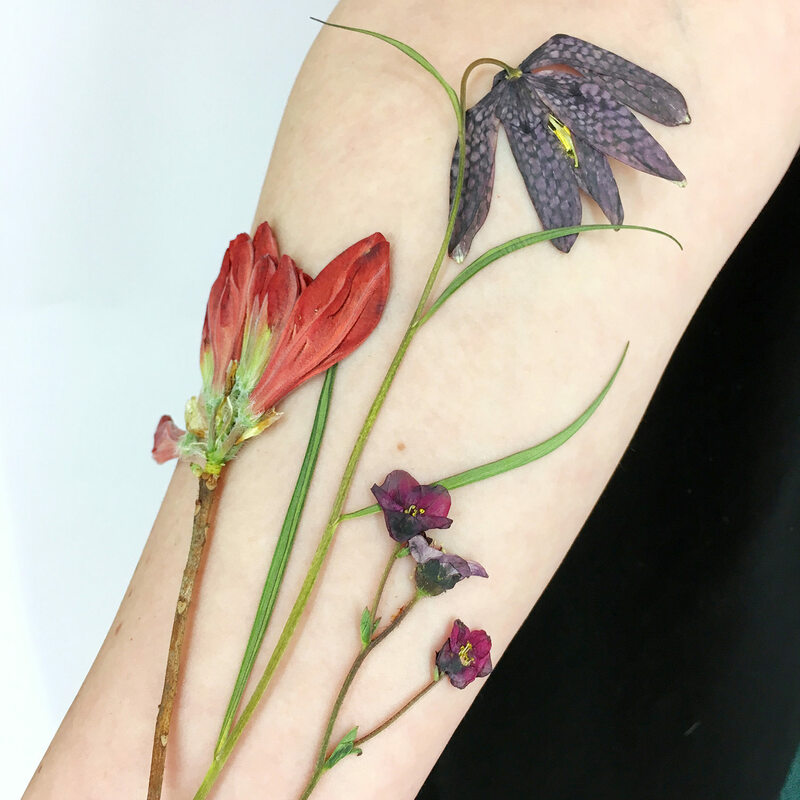 Dipping flowers and leaves in stencil ink, she presses them on her client’s bodies. The process sounds fairly straightforward, but it’s impossible to predict how it will look. 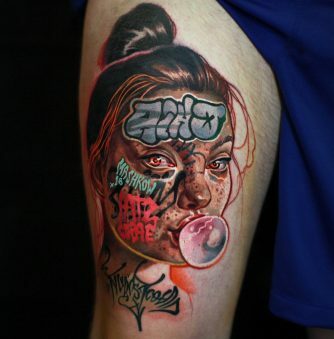 Everything happens on skin, which gives it a level of authenticity that you don’t get with a sketch—with Rit Kit’s approach, the middleman (drawing) is gone. Rit Kit is always looking to experiment and push the boundaries of the field. Her desire to move beyond conventional work was the inspiration for her live leaf paintings in the first place. It’s also why so many people are drawn to her body art; in a world where everyone is working in the same way, Rit Kit is standing out. 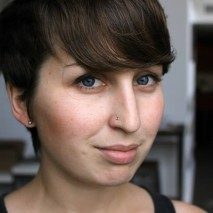 I caught up with her to ask her about her work and process. Above: Rit Kit holds up the dried flowers that helped produce the tattoo. Many flowers are found while walking around before she tattoos. 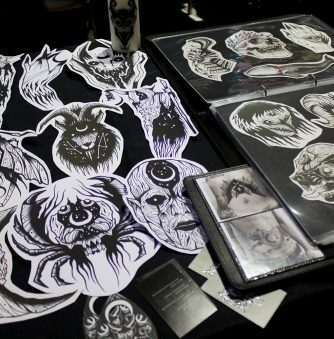 What is your artistic background, and how did it lead you into tattooing? I graduated from an art school and from an architectural academy, so I am a bachelor of architecture. Furthermore, during my studies I visited different art courses. 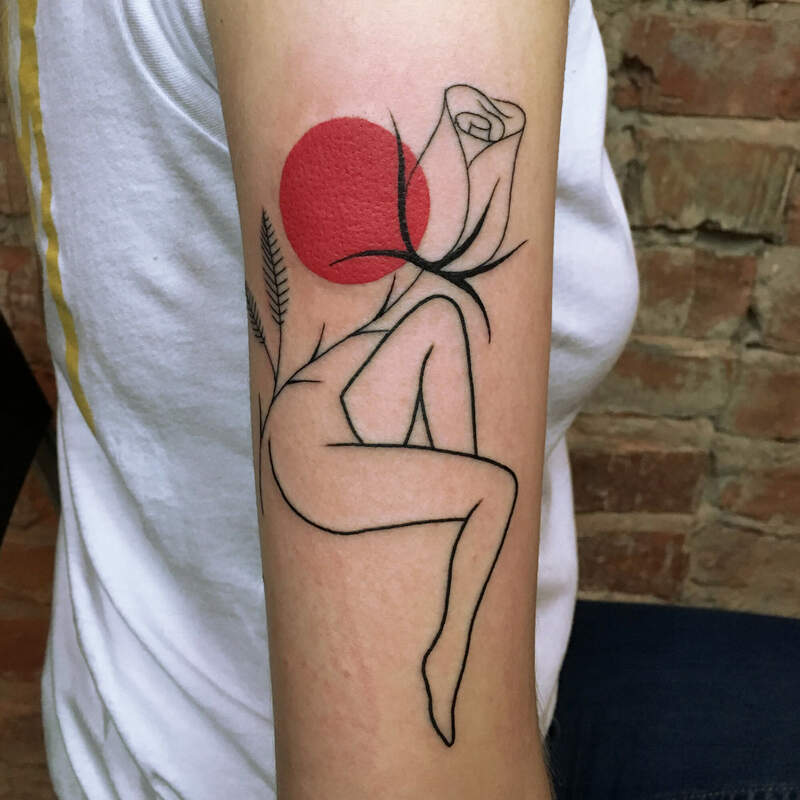 When I was finishing the architectural academy, I began to draw illustrations and started to think about doing tattoos using my own sketches, since I hadn’t seen anything like this in this sphere. 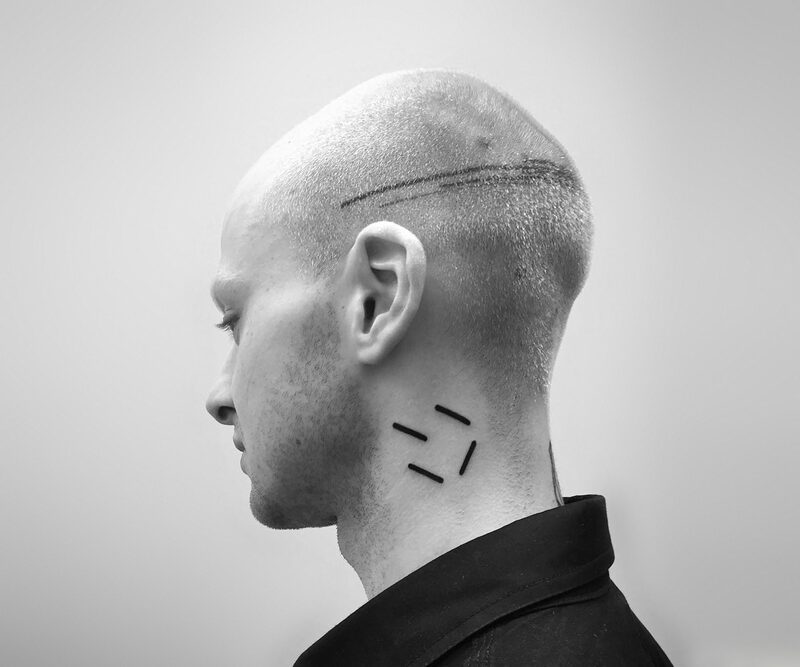 The main push was my moving to Kiev—I found myself in a new city and with a need for a new work. In addition to tattooing at a studio, Rit Kit works with brands like L’Oreal haircare at botanical-themed events. 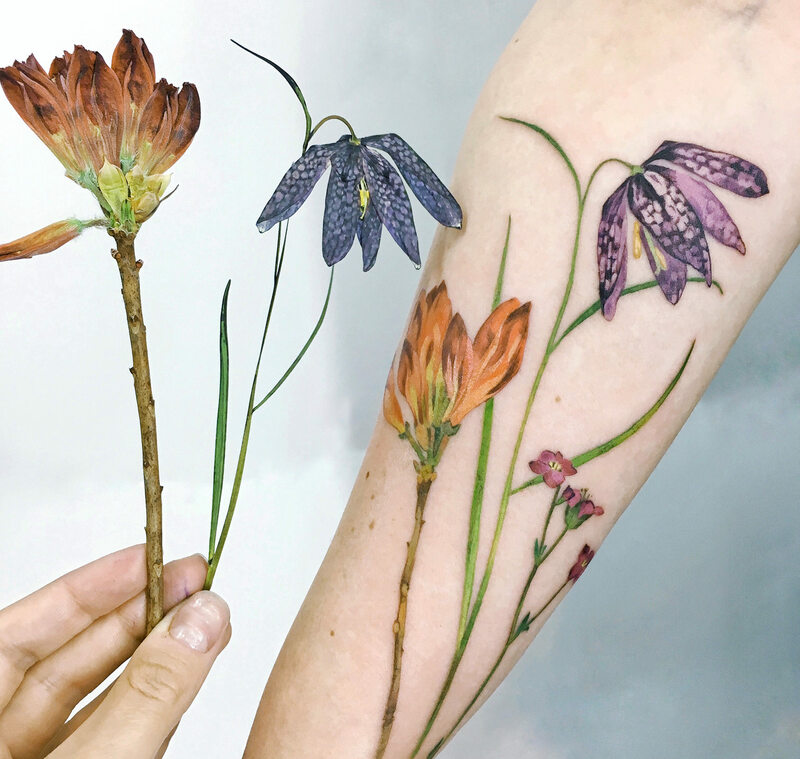 Your technique of using living plants as stencils has gone viral. What inspired you to use this unconventional approach? Were you surprised by the response? 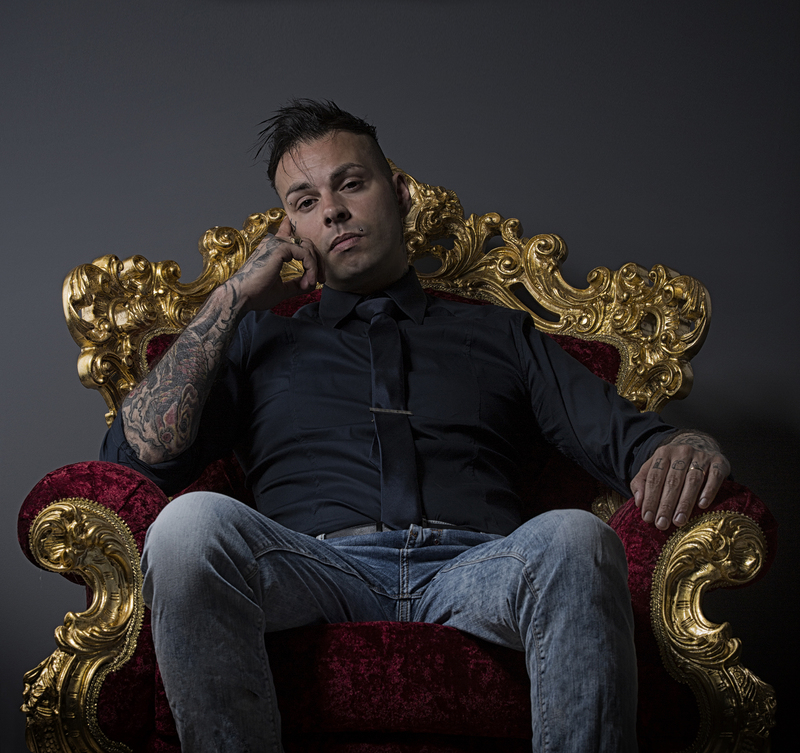 When I started tattooing, the most interesting thing was to try something new, because [nontraditional] tattoos are almost a new art form. 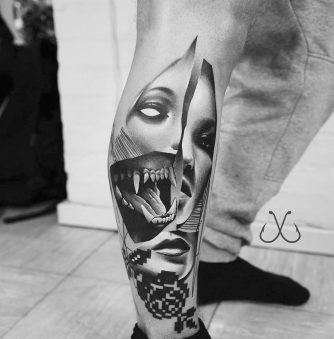 Now you can create almost everything that comes to mind, and there are no limits, so I’m glad that I got an opportunity to change a little bit the standard way of tattooing. 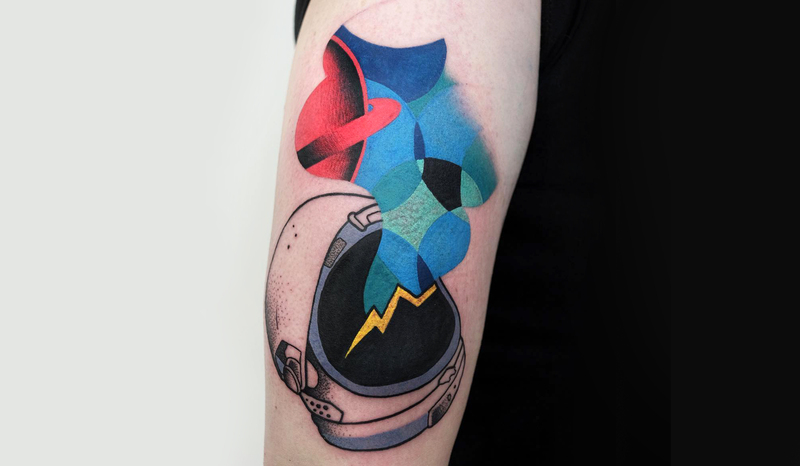 I always enjoy following experiments of other tattoo artists, but unfortunately, it doesn’t happen so often [the creation of new experiments]—basically all of them work in one narrow style and do not depart from it anywhere. When I started working in this technique I didn’t expect to get any feedback—I just liked to experiment, I did it for the sake of the process. 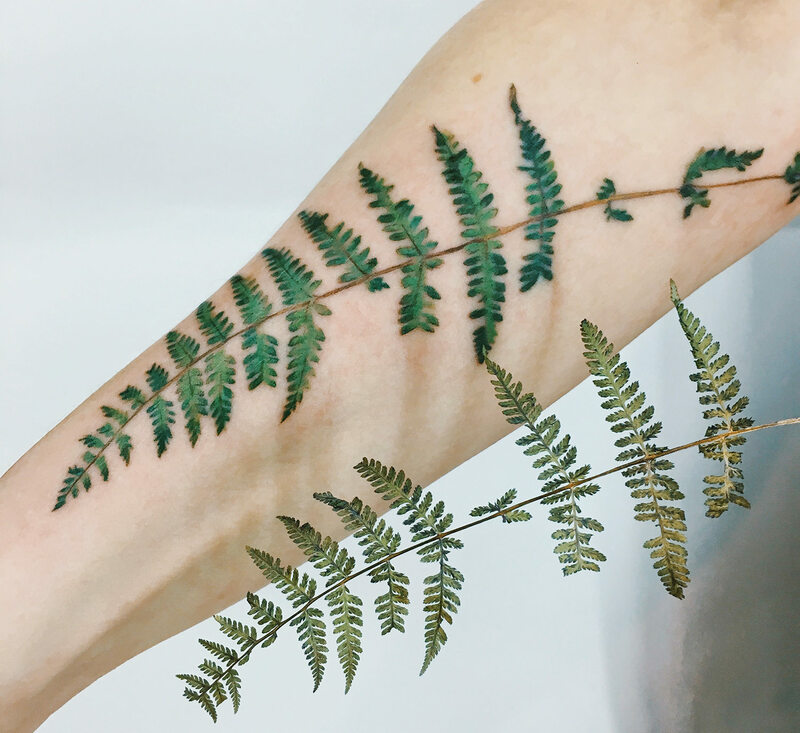 It seemed to me that this is a completely different feeling—wearing a tattoo made of a living plant, you catch this moment and imprint it on yourself forever. Of course, I was very pleased and inspired that my idea became popular and found a response so quickly. 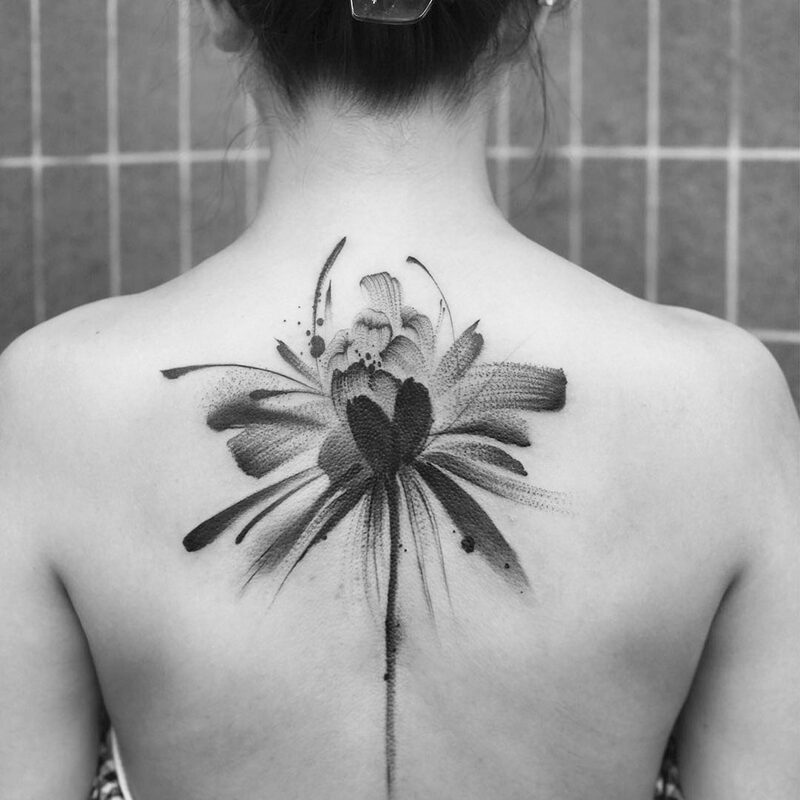 You explained that you don’t know the definite look of a tattoo before you begin. How does the spontaneous element affect your process? On the one hand, the process of making a tattoo is much more difficult. You are in constant stress, you cannot turn off from the process even for a second—you need to think over where and what color to use constantly, what to emphasize, you compose the sketch on the skin immediately. 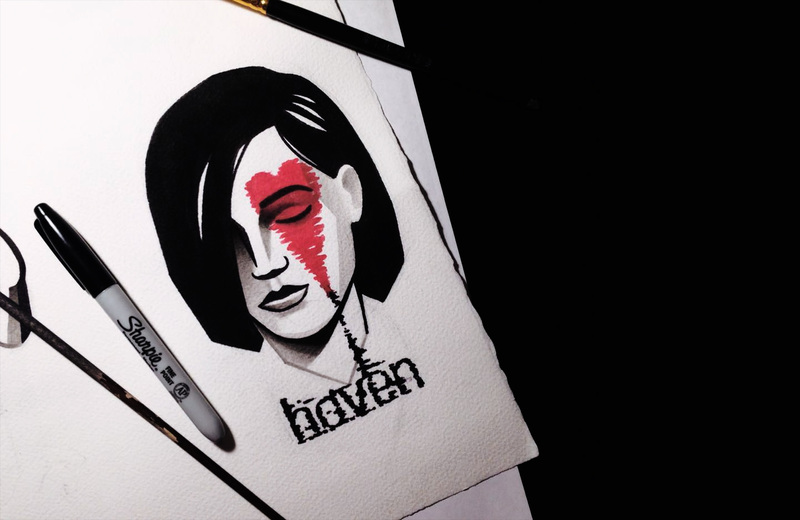 It’s very responsible—you can draw something on paper and then erase and remake it. Working with skin you do not have any right to make a mistake. On the other hand, any sketch or photo never conveys the very first impression of nature—it is very important. 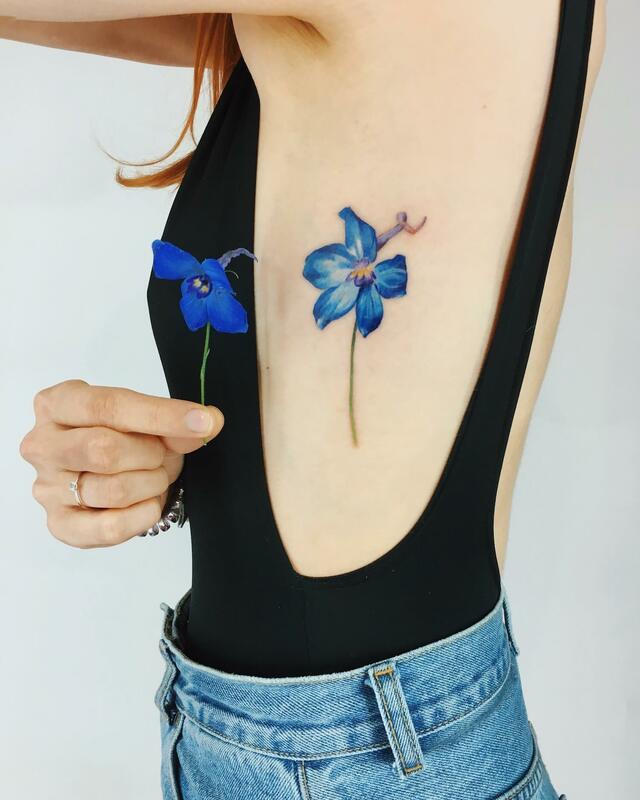 I see the flower and tattoo it immediately—I do not prepare, do not draw anything in advance. 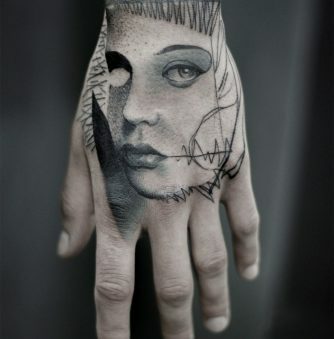 Everything happens at once on the skin. 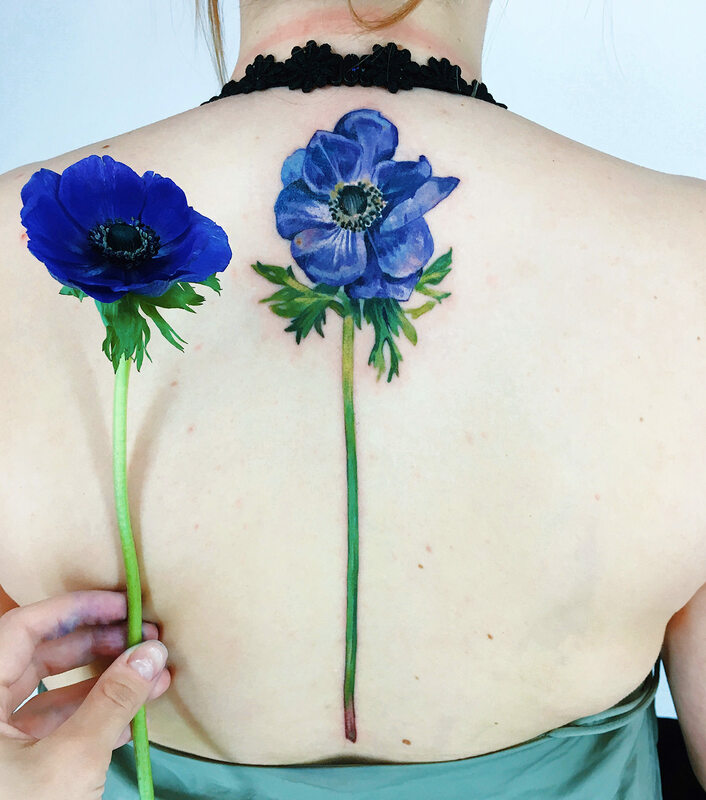 Therefore, the tattoo is so vivid and naturalistic, because even while painting and drawing, you can catch truth only when you draw from nature. Nature never lies. Do you ever miss drawing your designs? I really miss drawing, because I used to draw constantly, every day. 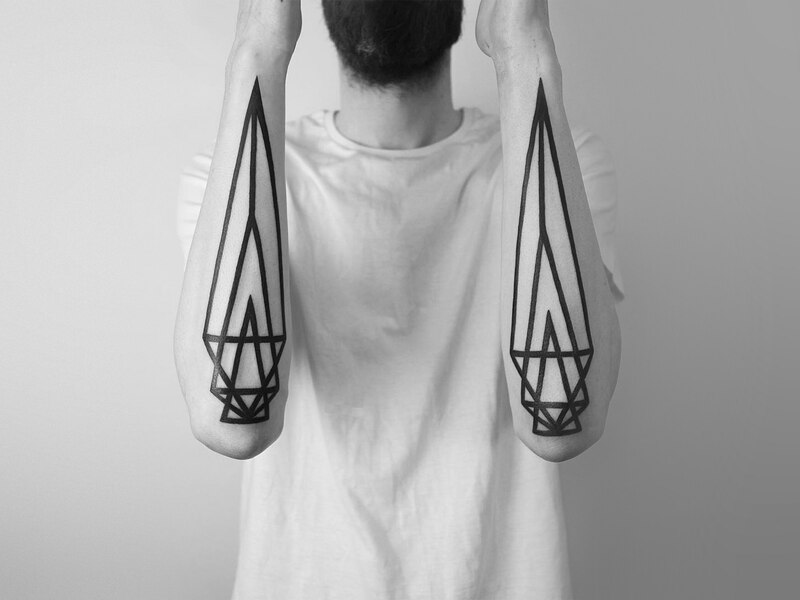 Now I do it much less, because I started to travel more and making tattoos in the technique of prints, I want to develop it and continue to experiment. After I stopped drawing custom sketches, I got much more time to draw for myself. I show it rarely, but I never stopped drawing. Now I mainly do sketches of flowers and draw​​​​​​​​​​​​​​​​​​​​​​​​​​​​​​​​​​​​ mostly from nature. 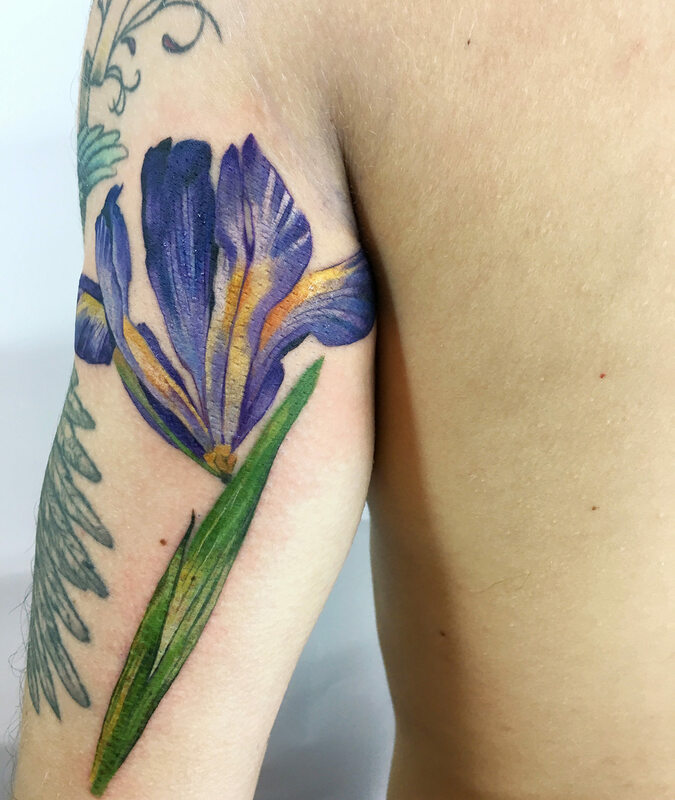 Some clients will bring in their own flowers to get tattooed from places that are well outside of Ukraine. In the future, how do you see your technique evolving or changing? I know for sure that my technique will not stand still. I’m not interested in doing the same thing, so when the topic exhausts itself, I will try to invent something new. Right now I do not do prints that are repeated, I try to work with new compositions, new plants, it is very interesting to work in different countries with local plants—each time it is something new that you’ve never seen. I do not want to guess what will happen next—I’m very inspired by what I’m doing and I don’t want to stop. Follow the artist on Instagram and Facebook.